Previous Editor of Mumsnet Dorset, mum of 4 PR friendly blogger. It's been a while, and to kick start the blog I thought I would do a completely random review of my grocery delivery today! Tesco have no idea I am doing this review and I have received no incentive to do so, but it was good so why not? My local store is the Bournemouth Extra store and I have signed up to the delivery saver service. This service means I can order with a delivery pass on Tuesdays, Wednesdays or Thursdays if I spend over £40. This is currently a prepaid service which costs £3.99 a month or £3.49 for a 6 month contract. I used Tesco Clubcard vouchers to fund mine so it feels like great value. Now, despite this I am a huge fan of Aldi, increasingly more so recently, but there are times when you just want it delivered to your door and Tesco makes the process simple. There are still items that Aldi just does not stock so I tend to use Tesco for a big monthly shop. I booked a slot around 5pm yesterday to be delivered this morning and there were plenty available to choose from. I use the Tesco App and find the process quite quick especially as it saves my favourite items which I buy regularly. I always look at the special offers first as this may determine a few changes in my meal planner. The weather this morning was very grim, wet and windy so I was glad to have booked a delivery and surprised to find my delivery man waiting for me 15 minutes early when I returned from the school run! Now I have used Tesco for many years and I can honestly say that 9/10 times they are on time (or early) which I'm sure isn't a problem if you weren't available yet. My driver had avoided traffic! All items were in stock on this occasion, in the past I have received a suitable substitute if they had it at the time. Sometimes a larger item or a step up in brand at the same cost but the driver will refund you if you aren't happy with an item. On the odd occasion I have received short dated items not mentioned on the notes but a quick call to customer service meant a full refund of the items and I would still be able to use them. 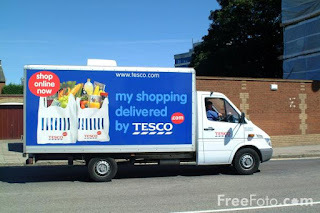 So today Tesco did a really good job, my driver was pleasant and my shopping was all packed away early meaning I had time to write this review! Keep it up Tesco! Journey through the steamy, green rainforest tunnel of this jungle set! 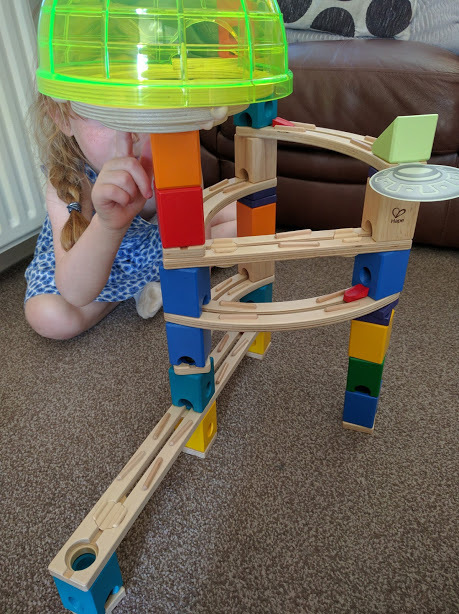 Your adventurous little engineer can guide elephant and lion friends through an overgrown jungle and over crinkly tropical land aboard a trusty little train engine. 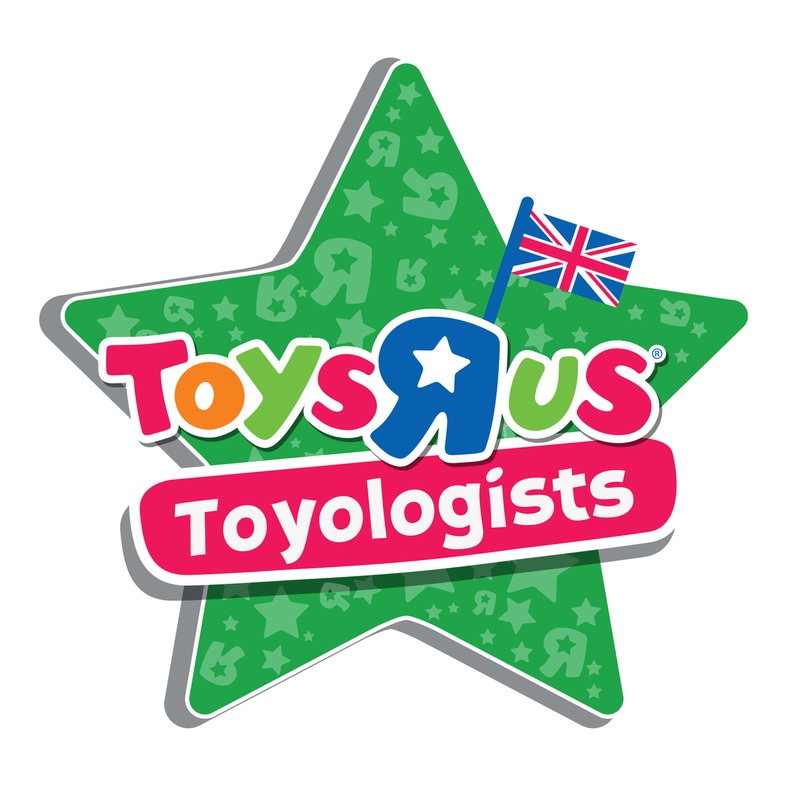 Encourages imaginative play, creativity and helps to develop planning and logic skills. Hape Jungle Train Journey Set on sale for £30.00 from Debenhams. "My 19 month old little girl loved opening the train set. She's obsessed with all wooden toys and was delighted when I let her rummage through the box to unpack the track and train itself. It's fantastic quality and gender neutral. 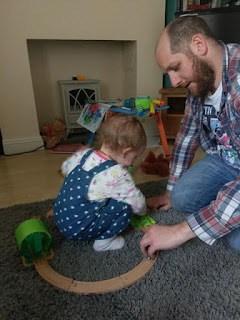 The magnet that joins the train together is strong but easily pulled apart by little hands and the colours are bright and not easily chipped. Would happily buy additional track so to make it twisty and even more fun. A long lasting affordable purchase. And daddy enjoyed playing too!" WIN! 4 Tickets to the Christmas Spectacular Show ! 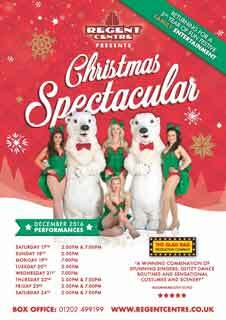 Returning for its fifth fabulous year, The Glad Rag Production Company is delighted to bring the Christmas Spectacular 2016 to the Regent Centre stage. Bursting with festive delights this highly acclaimed company will create a magical Christmas treat for the whole family to enjoy. Once again this talented company brings together an evening of stunning dance routines, sparkling vocals and more than its fair share of laughter to delight audiences of all ages. We return to the North Pole where Santa is hosting an Elf Convention. With visiting Elves from Germany, America and Spain, we take you around the world in 90 minutes and along the way our sparkling singers, stunning dancers and adorable babes perform West End musical showstoppers, all the Christmas Classics and of course the hilarious “If I were not on Santa's team”. Benji and Bruce the polar bears will, of course, be on hand to ensure everything runs smoothly. Running right up to the Christmas Eve this Christmas Cracker of a family show is guaranteed to fill you with the spirit of Christmas. We have a Family Ticket for 4 to giveaway on Thursday 22 December for the 7pm Evening show . It's easy to enter, just email us at dorset@mumsnetlocal.com and mention 'Christmas Spectacular'. Winner will be chosen by December 12th Midday and notified by email. Over 18's only to enter. 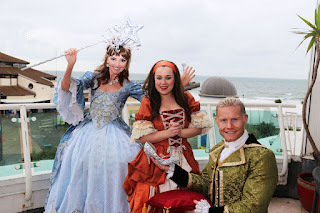 We were invited to review Cinderella, this years pantomime at the Bournemouth Pavilion and once again we had a lovely time. 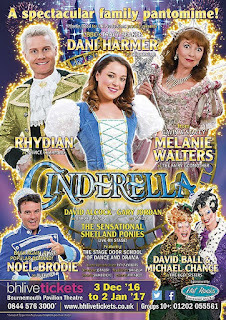 The fabulous Rhydian (X-Factor) as Prince Charming and a grown up Dani Harmer (Tracy Beaker) as Cinderella were a pleasure to watch. We were pleased to see the return of Noel Brodie as Buttons and his comic timing had the audience and the little helpers giggling away. The talented Gary Jordan played Dandini and Melanie Walters (the lovely Gwen from Gavin and Stacey...would you like an omelette?) was delightful as the Fairy Godmother. The children loved the crowd participation and booed and cheered when prompted, and found the ugly sisters (David Ball and Michael Chance) hilarious! They must be exhausted after so many costume changes!! Bringing back some of the funny scenes from previous years always delights the children as they know what to expect. 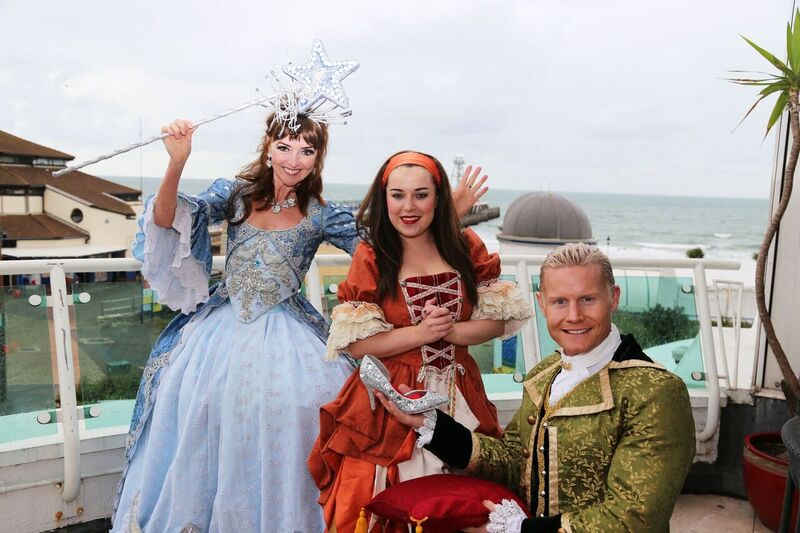 This year they invited daddy and he said it was the best panto he had seen and hopes to return next year...believe us when we say that is a huge compliment! Bradley Simmons, Ofsted Regional Director for the South West, has sent a letter to the Leader of the Council Cllr Janet Walton, congratulating the Borough of Poole on the much improved school results this year. In his letter, Mr Simmons said Poole schools had performed above national levels in almost every area. At Key Stage 1, Poole schools performed above the national level in reading, writing, mathematics and phonics. At Key Stage 2, performance for the combined attainment measure of reading, writing and mathematics, was also above the national level. Secondary schools in Poole also built on last year’s improvement. The proportion of Poole pupils passing GCSEs in English and mathematics at grade C or better was 67.6%, against a figure of 62.8% for England. The improvement in performance is a result of a strong partnership between the council and local schools, along with support from Poole School’s Alliance, Poole Teaching Schools Alliance, and the new teaching school Sigma. Cllr Mike White, Cabinet Portfolio Holder for Children, Young People and Capital Projects, Borough of Poole, said “We are very pleased to receive congratulations from Ofsted. It is good to know that such hard work and dedication from pupils and teachers, led by heads and governors, along with everyone involved in education in Poole, has been recognised. Hape Quadrilla is a High Quality Wooden Marble Run Construction System. It provides endless creative building possibilities and encourages spatial think and problem solving. 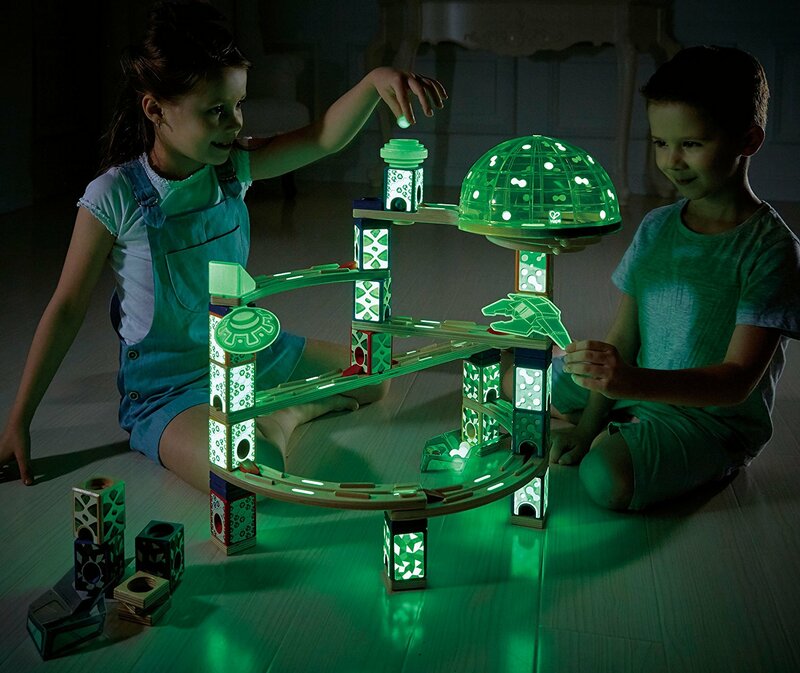 This 176-piece set includes marbles and glow in the dark accents for galactic racing. Each of the different colour blocks has a different function and it’s the world’s only kinetic marble run. The box contains 176 pieces and an instruction booklet with several different options to build, our 10yr old reviewer could easily follow the instructions and build the sets. 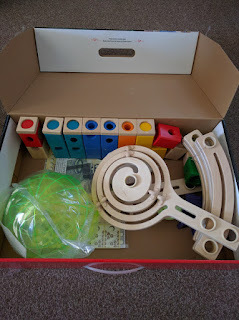 The sets do require some problem solving from the children as they build them, the blocks need to be placed in the correct position for the marbles to run through. Both the 7yr old and older child were keen to work together to solve this and we were pleasantly surprised that they didn't get frustrated but this element seemed to hold their attention. Once the set was built they got to work racing their marbles and they really enjoyed playing together, the cat also seemed to find the experience very entertaining and sat and watched the marbles for ages which the children found hilarious! When the girls decided to build a different design they added all the glow in the dark stickers which they placed carefully onto the pieces. 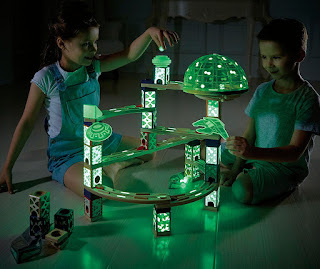 When it became dark the turned off the lights and using the glow in the dark marbles which they loved. our photo wasn't great but this one shows how great the set looks in the dark. The set states it's recommended for ages 6-12 years and we think this is a good guide. It's well built and will last a long time, we love wooden toys and this one has something different about it that captures the attention of the children. 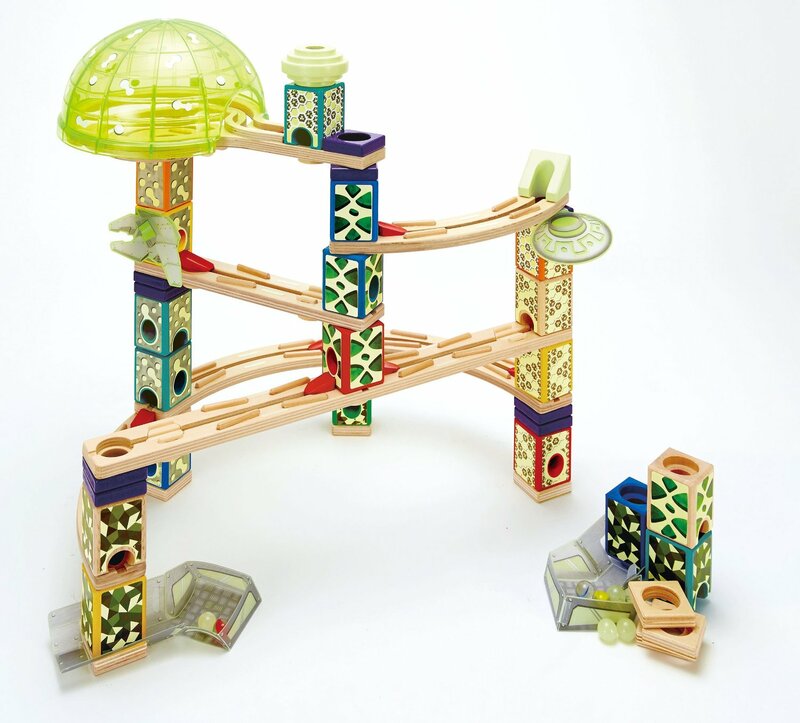 As with every other Hape Quadrilla Marble Run Construction Set, it combines easily with other Hape Quadrilla products for easy expansion and unique combinations that will enhance your child's play experience. Please contact us if you wish us to feature a review. LocalEditorDorset. Simple theme. Powered by Blogger.